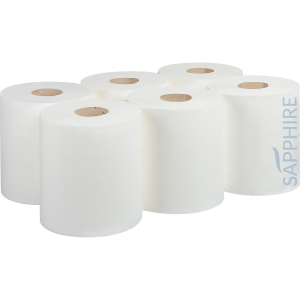 Sapphire Virgin Paper Centrefeed products are made from a high quality pure virgin tissue paper. 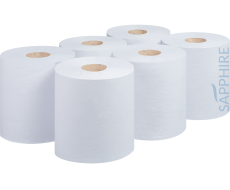 Virgin paper provides excellent benefits including; no colour bleed when used with cleaning sprays or liquids and a softer feel on skin. 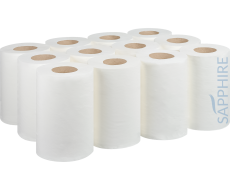 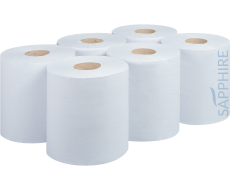 Each roll is made following CHSA guidelines, assuring quality and measurements for both you and your customers.